Ensuring that each of the seven chakras are well balanced is key to living a well balanced, productive, and harmonious life, and now that we have looked at the base chakra, it’s time to move to the second chakra, known as the ‘sacral chakra’. Located close to the base chakra, which deals with our primary needs, the sacral chakra lies in the lower abdomen just below the coccyx or tailbone. It is associated primarily with emotional responses and regulation and is often referred to as the seat of emotions. It is also associated with the sense of taste and with reproductive function. It allows us to creatively deal with what emerges from our experience and develop a response informed by our emotional patterns and intelligence. Movement, sensation, emotions, sexuality, desire, need, and pleasure. Because of its close physical connection with the pelvis area and the reproductive organs, this chakra is also the center of the search for pleasure, whether sensual or through your daily life experiences. 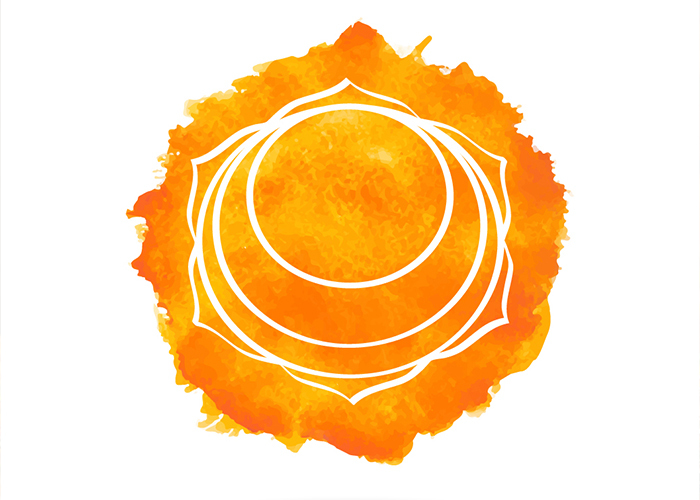 Abundant creativity and strongly felt intuition are two additional facets of an open sacral chakra. Essential oils known to best help with the health of our sacral chakra are ylang ylang, and patchouli. 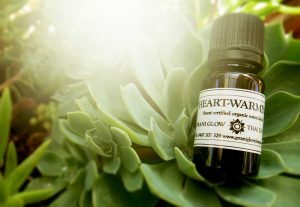 Both of these blends can be found in the ‘heart-warming’ essential oil blend, and the ‘harmony’ blend, and combined with either a wellness massage or thai inspired foot treatment can work wonders in balancing our ability to feel and give love, and chase away pessimism, depression, and the fear of intimacy.